A high speed pellet hits several sugar cubes lined up. The pellet breaks the sugar crystals in the cubes to show the property of triboluminescence. 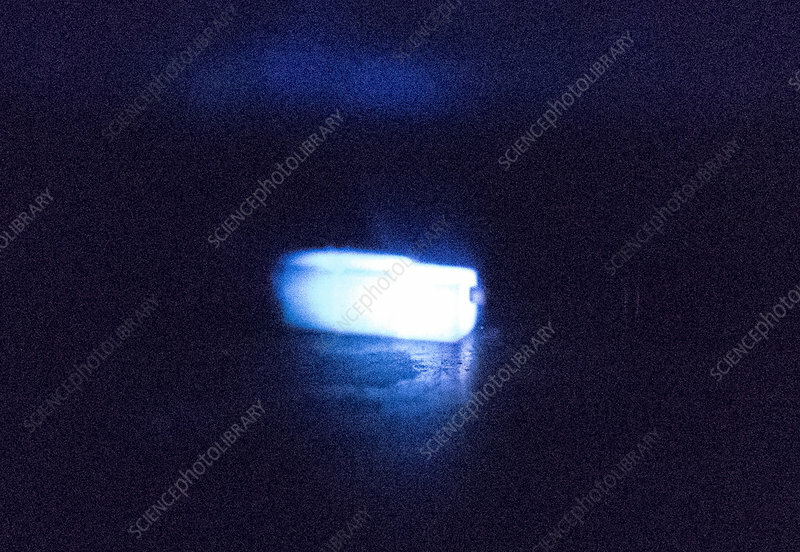 Triboluminescence is an optical phenomenon in which light is generated when asymmetrical crystalline bonds in a material are broken when that material is scratched, crushed, or rubbed.